Kerala University Results 2018 has been released. Students can check Kerala University Semester Results on this page. 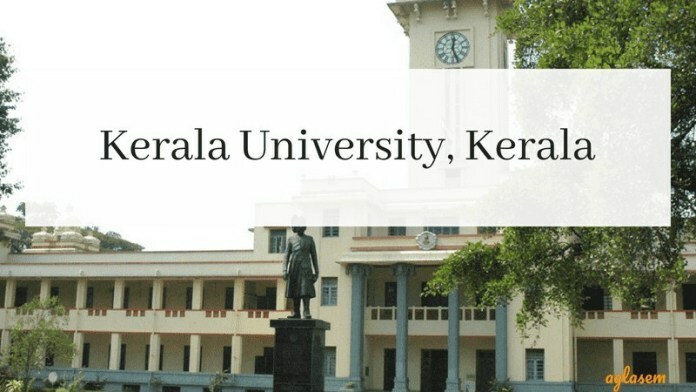 Kerala University has released the result for the examination conducted in Nov-Dec 2018. Kerala University Result Analysis can be done through the provided on this page. A student shall be considered to pass the exam if he/she secure the minimum qualifying marks in aggregate. It is also important to pass in both theory/practical paper. The qualifying students will be promoted to the next higher semester. Check the page for Kerala University Result 2018. Latest: Kerala University has released the result of 1st Semester M.Ed. Degree Examination, November 2018. To obtain Kerala University Mark Sheet – Click Here. If the students are not satisfied with the marks secured in the exam can apply for the revaluation of the answer script. The revaluation is permissible for theory paper only. The promoted students have to take re-admission to continue in the next higher semester. Check the table for Kerala University Result. Result: Students can check Kerala University Results online at official website, www.keralauniverity.ac.in. Kerala University Result 2018: How to Check Result? Students appeared in the semester exam can check the result through the link provided in the table. Students can follow the steps to check the result from the website. After the declaration of Kerala University results 2018, if the student is not satisfied with the marks then the students can apply for the revaluation of the answer script. The student needs to submit the application form for revaluation of answer script. Students can download the revaluation form through the link provided below. The revaluation form can be submitted to the controller of the exam within 15 days from the date of publication of the result. The fee for revaluation is Rs.500/- per answer book. Sufficiently stamped, self-addressed envelope for sending the result by post. Note: Read the instruction mentioned in the revaluation application form. The University of Kerala conducts thousands of examinations in hundreds of different courses in two sessions every year. Exam Semester will be divided according to the courses in Diploma / UG / PG. The result will be displayed twice in a year in the month of January or July. Year wise result will also be declared by the university. Candidates can check out their result from the official website of the university or from here. University examination will be conducted at the end of each Academic Year. Examination fee for the regular examinations must be paid along with admission / II / III year tuition fee.